U.S. Secretary of Defense Ash Carter welcomed Indian Defense Minister Manohar Parrikar to the Pentagon on Monday, ahead of key joint exercises taking place in India next month. The U.S. designated India as a major defense partner during Indian Prime Minister Narendra Modi's June visit to Washington. During Carter and Parrikar’s bilateral meeting, the two defense leaders are expected to discuss a key logistics agreement that will enable U.S. and Indian forces to use each other's bases for repair and replenishment of supplies. The meeting also comes ahead of key annual exercises in India between U.S. and Indian forces. The joint drills, dubbed Yudh Abhyas, will take place in the mountains of northern India next month, Lt. Gen. Stephen Lanza, who commands the Army's I Corps on the U.S. Pacific coast, told VOA. Speaking to VOA from Joint Base Lewis-McChord, Lanza said the two armies will focus on a variety of tasks, from peacekeeping operations to combined arms maneuvers and tactical training. The two armies also will swap-out troops within formations. “Not only are we just training together … we’re completely integrated both with the Indian army and our Army working together down at platoon level,” Lanza told VOA. 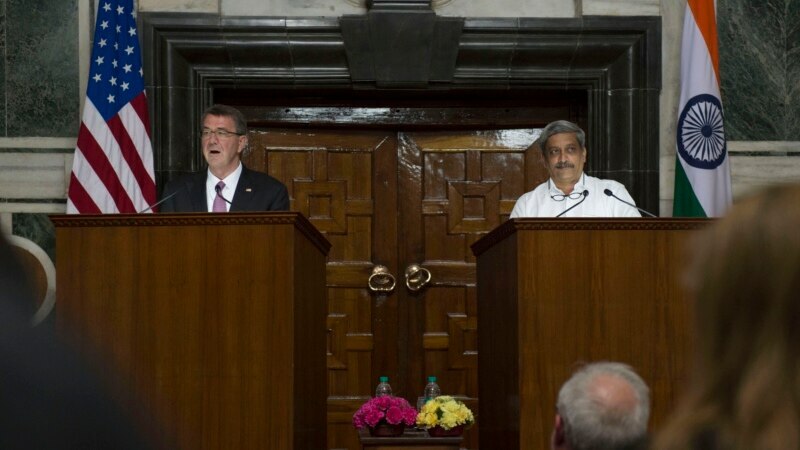 Secretary Carter and Minister Parrikar last met in April during Carter’s visit to India. Parrikar gave Carter a tour of his home province, the western resort area of Goa, before talks in New Delhi. Monday’s talks marks the sixth meeting between the two defense leaders. Among the civilian agencies to be part of the military exercise, the defense ministry’s press office says are parts of the communications, finance, and trade ministries, the Russian State Reserve and the Bank of Russia which will be checked for their ability to operate “under conditions of military time” (function.mil.ru/news_page/country/more.htm?id=12094234). On the one hand, the involvement of these agencies in military games makes the latter more realistic and may thus be only a recognition that in modern war, the military is far from the only player. But on the other hand, this arrangement and the publicity given to it sends a signal to both the Russian people and Russia’s neighbors that Moscow is seriously preparing for war. Given that the Russian military in recent years has often carried out exercises in the summer months, many Russians may have dismissed reports about the current one despite its size; and the Kremlin, especially in the run up to the Duma elections on September 18, is likely interested in seeking to generate patriotic fervor and support for the regime. And given that Moscow has been issuing threats to Ukraine and other of its neighbors in various ways, this makes the latest Russian military exercise even more threatening because it is not only more realistic but because Moscow would have less to do to transform this exercise into a military strike. Especially ominous is what this announcement says about mobilizing reserves and providing automobiles for military units in the Southern and Central Military Districts and in the Northern Fleet. “For the first time,” the announcement says, the Bank of Russia will be involved to ensure that money flows into these sectors in a timely fashion. The ministry also says that this exercise will now “check the readiness of a number of enterprises of the defense industry complex of the south of Russia” and their ability to “fulfill tasks laid on them as far as the supply and reconditioning of arms” and other equipment these groups need. According to the ministry’s press office, this is all being done in correspondence with Putin’s July 17 order to conduct “an experiment on the introduction of a new system of preparation and forming up of human resources for mobilization.” To the extent it is successful, the new system will become standard operating procedure. Staunton, August 29 – The apparent heart attack on Saturday and at least temporary incapacitation of 78-year-old Uzbek strongman Islam Karimov has not only sparked concerns in that key Central Asian country about who will come in his place but also reopens the larger issue of political transitions in those parts of the former Soviet space governed by dictators. Twenty-five years ago when the USSR collapsed, activists in many of these countries and their Western supporters argued that democracy was the best form of government because it allowed the people a voice in decisions about their own lives. Far less attention was paid to the fact that democracies, unlike dictatorships, breed new elites and have regular successions. One result of that stress on popular rule rather than new elites and succession has been that in many cases, many post-Soviet dictators have hijacked democratic phraseology to cloak what are inherently undemocratic regimes and by design created situations in which no one can point to an obvious successor generation or even imagine the departure of the incumbent ruler. But even if such leaders are not replaced by coups or revolutions, they will eventually pass from the scene because of illness or age. No one lives forever, and if there are no new elites waiting in the wings or procedures for their regular rotation, transitions will inevitably be bumpy or even disastrous – a certainty that many dictators invoke to maintain support for themselves. Not surprisingly, following the announcement of Karimov’s hospitalization, his regime and many observers fell back on the nostrums that everything was under control, that he would be back, and that his policies would continue (tengrinews.kz/sng/uzbekskaya-politika-silna-svoimi-traditsiyami-normami-301183/). Other outlets have reproduced earlier discussions, many extremely useful, about what the passing of Karimov would mean for Uzbekistan and for other countries involved in Central Asia given the central role Tashkent plays as the capital of the most populous and arguably most powerful country there (fergananews.com/articles/9068). In the coming days, there are likely to be more of both, but they may soon give way to broader discussions about the ways in which the reliance of Uzbekistan and some other post-Soviet states on dictatorial regimes has put delayed action mines under each of them and of the region as a whole. Perhaps the first of these has been offered by Marat Tolibayev, a Kazakh economist and blogger, who argues today that “when an authoritarian leader of a state leaves unexpectedly, his country does not experience happiness and well-being, in any cases, not immediately afterwards” (marat-tolibayev.social/post/361-uhod-diktatora). In most cases, he writes, the old dictator is replaced by someone in his entourage or even his family or alternatively “by an accidental figure who turns out to be in the right place at the right time.” And he points out that one does not have to look far in distance or time to see examples of both. An individual who comes to power out of the entourage of the old dictator will first proclaim his commitment to democratic values and criticize “’the cult of personality’” of his predecessor. But within a short time, he will decide that he and his regime are irreplaceable and that everything must be done to keep him and it in place, with force if need be. Alternatively, he argues, the death or departure of a dictator can provoke a revolution which more often than not will bring to power either populists without experience in politics or administration or those who are simply greedy and see political power as a means to increase their personal wealth. Neither of these scenarios is “desirable,” the Kazakh commentator says. And that raises the question: is there another which avoids the problems of the first and the second. According to Tolibayev, there is; but it requires some conditions which are only rarely to be found. The most important of these is a willingness of the old leader to start the process before he dies. Indeed, he suggests, the very best thing a dictator can do is to announce that he is leaving office in five years, thus opening the way for “a thaw” and for the emergence of alternative political leaders who will focus on policy issues rather than concentrate itself only on the replacement of the leader. If a dictator president can think about the future – and that is no easy thing for him to do -- his taking those two steps, Tolibayev says, will ensure that his time in office was not wasted, that a new dictatorship or a revolutionary situation will not occur. And he will be remembered not for his misdeeds but for his contribution to the development of his country. Up to 60,000 women and girls in France, and an estimated half-million or more across the European Union are victims of female genital mutilation, a painful and sometimes deadly practice that is also known as FGM or cutting. Despite worldwide efforts to eliminate FGM, experts say immigration is boosting those numbers in Europe, as in the United States. Lisa Bryant reports for VOA on a newly opened center outside Paris that is among the few in France specializing in FGM. The Islamic State group is becoming a growing menace in Yemen and is further destabilizing a war-torn nation already past its breaking point. In recent years, the group has built support bases across the country, with a particular concentration in the south and southeastern parts. 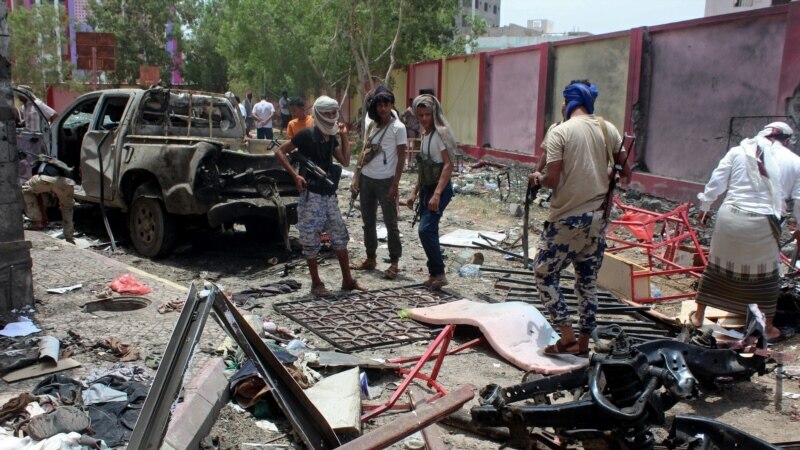 Monday’s attack in Aden — in which at least 45 people were killed — is the latest example of the growing presence of the group in Yemen. 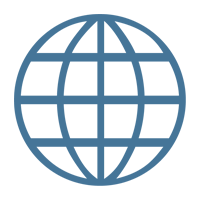 With the declaration of an Islamic caliphate in Syria and Iraq in June 2014 by IS, many jihadist groups across the world began to pledge allegiance to the group. In Yemen, several groups affiliated with al-Qaida expressed their desire to operate under the command of the newly formed terror leadership in Syria and Iraq. Amid a complex civil war, IS would continue to gain territory and influence in a country that is witnessing a multi-layered conflict, analysts said. "They are exploiting the security and political vacuum in the country," said Maysaa Shuja Aldeen, a Cairo-based Yemeni affairs analyst. IS and al-Qaida in Yemen are essentially the same group, but they have different battle and political tactics, she said. "The only difference is that al-Qaida's chief mission is to target the West," Shuja Aldeen said. "While Daesh is in to attack the West and build a state in Yemen," she told VOA, using the Arabic term for IS. Still, analysts say IS has high potential to overshadow al-Qaida's presence in the impoverished Arab nation. The brutal attacks carried out on Yemeni military personnel and civilians by factions of al-Qaida has attracted IS leadership. Jalal Baleedi, an al-Qaida's commander in Yemen who was reportedly killed in a U.S. drone strike in February 2016, had shown his loyalty to IS leader Abu Bakr al-Baghdadi. He was unofficially the IS emir in Yemen. Many of al-Qaida's powerful commanders in Yemen have been killed in U.S. strikes, which has presented an opportunity for a new emerging leadership that doesn't necessarily believe in all al-Qaida doctrines, analysts said. "Most of the veteran leadership operated with Osama bin Laden in Afghanistan and Pakistan," said Yemeni writer Abdulhakim Hilal in a recent analysis. "They refused to pledge allegiance to [Abu Bakr] al-Baghdadi." ‘Sectarian dimension’ With the Shiite Houthi group becoming more involved in antagonizing the Sunni-dominated embattled Yemeni government, IS is likely to expand its sway to control other Sunni Muslims who don't necessarily agree with its extremist ideology but "still identify with it in the face of the Shiite threat." In conflict with successive governments, the Houthis have been seeking greater rights for the Shiite minority in Yemen. Authorities have accused them of receiving backing from Iran — a Shiite-majority country. "Houthis have brought new dynamics to the table," analyst Hilal said. "They gave an excuse for IS to flourish in Yemen." Al-Qaida militants in the region — including those in Yemen — had been opposed to targeting Shiite Muslims. But IS has often made Shiites their targets throughout the region. This is yet another factor that feeds into the growing popularity of IS in the country. "This conflict has taken a sectarian dimension," Aldeen said. "Houthis are the face of Shiite extremists and IS represents Sunni extremists." Sectarian divisions in Yemen became more noticeable after the ousting of longtime President Ali Abdullah Saleh in 2012, a move that was part of the Arab Spring. The country has since witnessed a series of political and security turmoil. In March 2015, a Saudi-led Arab coalition began airstrikes in support of the Yemeni government against Houthi fighters and their allied militias. In such a volatile environment, experts believe IS militants will continue to secure more of a foothold in Yemen and pose greater threats to local, regional and even international stability. Ukraine Day 923: LIVE UPDATES BELOW. recently in the “industrial zone” on the outskirts of town. On 31 August 1941, 75 years ago, the first Arctic convoy arrived in Archangel. A handful of merchant ships carried raw materials and Hawker Hurricane fighters, the first instalment of lend-lease that was to shore up the Soviet defences against Hitler. On board one of the merchant vessels was the Polish-born artist Feliks Topolski, accompanied by several war reporters. The political and propaganda intentions, as well as the military purpose of the convoys, were easy to spot. Over the next four years, 78 convoys sailed to deliver essential supplies to Britain’s new ally. The losses were terrible: 85 merchant ships, 16 Royal Navy vessels and as many as 3,000 sailors; the supplies were never enough to meet Soviet demands. The conditions were diabolical, not just from cold. In summer the eternal daylight left no place to hide from the constant threat of German aircraft. The convoys had to survive submarine and surface attack while fighting the turbulence of the Arctic Ocean as it meets the warmer waters of the Atlantic. The handful of men who still survive deservethe British medal that the Ministry of Defence finally conceded three years ago. After President Vladimir Putin accused Ukraine of plotting terrorist attacks on the Black Sea peninsula this month, the chance that Western countries will scrap economic sanctions againstRussia has declined, according to a Bloomberg survey of economists. The son of a Russian member of parliament has been found guilty of stealing and selling millions of US credit card numbers using point of sales malware. Roman Seleznev, 32, is the son of ultra-nationalist Liberal Democratic Party MP Valery Seleznev. Iraq says it has requested Saudi Arabia to replace its ambassador in Baghdad. Turkmen President Gurbanguly Berdymukhammedov is visiting Berlin on August 29 for talks with German Chancellor Angela Merkel on economic relations between their countries.